My family and friends are used to seeing me wearing sweaters, even in summer, as I’m always chilly. But this week we’re spending in South Carolina is even, surprisingly, a bit toasty for me. Yesterday, the temps hit triple digits, and with the standard heat and humidity of the low country, it felt about 115 degrees outside. 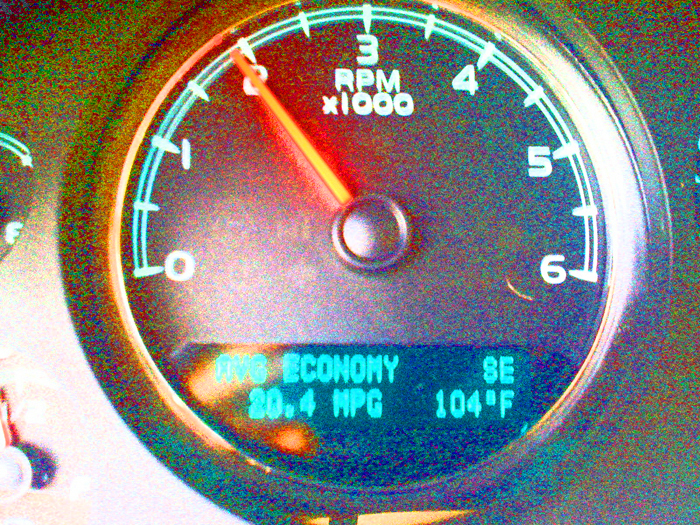 Thankfully, with a pool in the backyard and the AC cranked, unless you venture out in the car it’s almost bearable. And, of course, when I do go out I have to peel off a layer or two…some things never change, no matter the season! Oh my, you need a PRIUS……….50 MPG……seriously. 🙂 This is the vehicle that tows my horse trailer…can’t do that with a Prius, unfortunately! My next vehicle is going to be sporty and small!